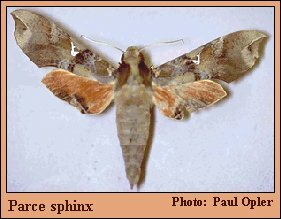 Identification: Forewing upperside is orange-brown with paler patches and a large silvery spot at the end of the cell. Hindwing upperside is red-orange. Wing Span: 2 5/8 - 3 1/8 inches (6.7 - 8 cm). Life History: Caterpillars pupate in cocoons spun in leaf litter on the ground. Flight: . All year in the tropics; April-September in Florida, Texas, Arizona, and southern California. Caterpillar Hosts: Possibly plants in the dogbane family (Apocynaceae). Range: Brazil north through Central America, Mexico, to south Florida, South Texas, southern Arizona, and southern California.